After destroying New York and terrorizing a girl trapped in a psychopath's bunker, the giant creatures get an origin story with Cloverfield Paradox. Met with pretty severe critical and fan reception when it released on Netflix, it shows the wrinkles of being a repurposed script not originally intended to be a part of this sci-fi franchise. With some decent scares and a good cast, there is still some fun to be had with this Paradox. Paramount unleashes Cloverfield Paradox onto physical media with a fantastic Blu-ray release sporting a strong video transfer and a thumpingly good Atmos mix with a couple decent bonus features. Maybe not the greatest movie, but Paradox on Blu-ray lets you complete the trilogy. Worth A Look. "I think my arm is trying to write something!" Remember the not long ago in the not so distant past when it felt like Netflix could release only good movies and shows that the studios were "afraid" to put out themselves? 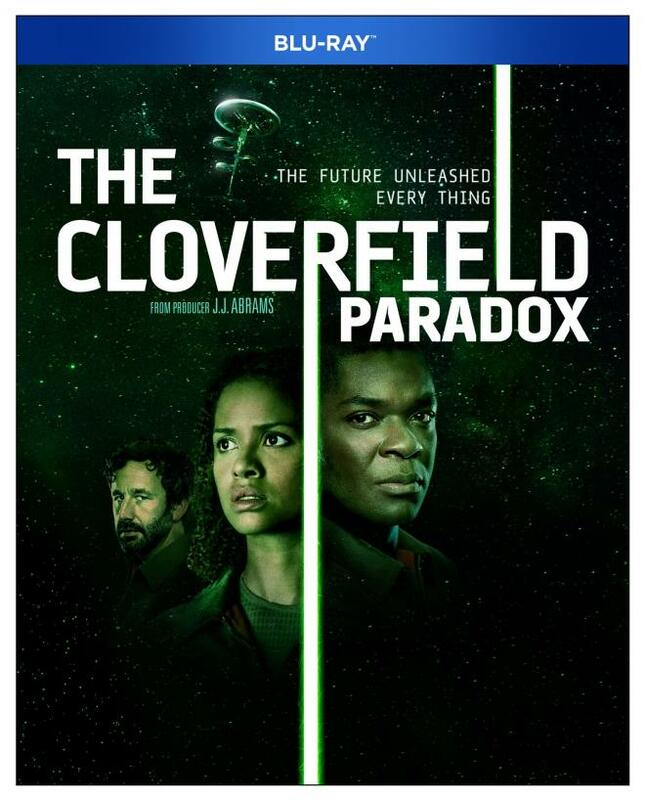 After their great runs with Daredevil, Stranger Things, and any number of other original shows and movies - Netflix surprised the world with the debut of The Cloverfield Paradox on February 4th, 2018 right after Superbowl LII. 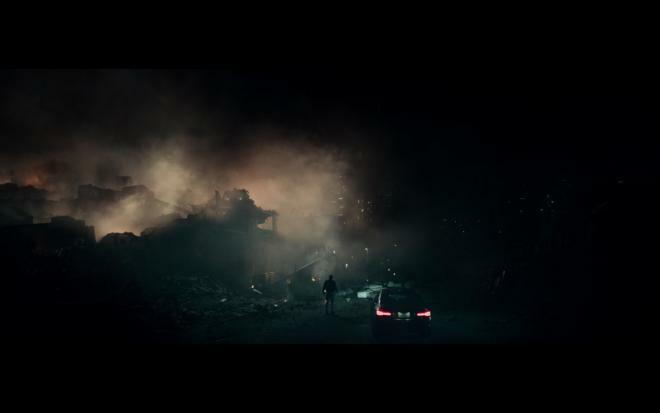 I was shocked that what was supposed to be a trailer for the next movie in the Cloverfield loosely connected franchise turned out to be a release announcement that the film would be ready for viewing immediately after the Eagles spanked the Patriots. I didn't want to stay up any later than that game - but I did. Well, I wasn't impressed that first night. It could have been the combination of a long game, bad food, late hours, and Justin Timberlake's goofy Halftime show that spoiled it, but Paradox was a silly mess of a movie. You can read my initial thoughts on experiencing the movie that night HERE. A year later and without any sign of another surprise Netflix release of a Cloverfield movie, I get to look back on this strange little trilogy. 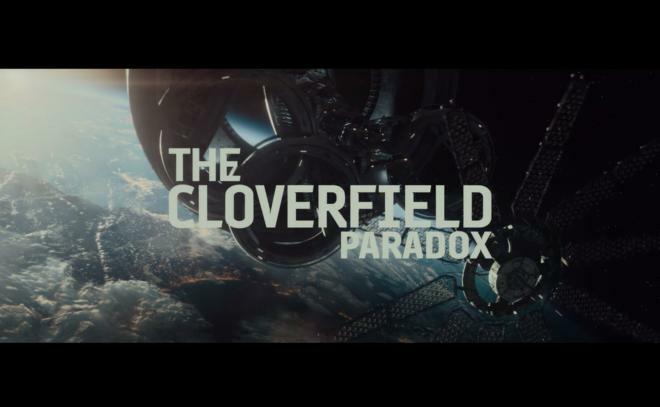 Just as an experiment, I decided to watch Cloverfield, 10 Cloverfield Lane, and Paradox in relatively quick succession to see if it changed my original lackluster opinion of the third film. With the other films in my head and then joining into this third entry, things work a bit better - but I'm still not 100% completely satisfied. I was able to forgive some of my tiny gripes I expressed previously, but the biggest problem - and it's true for most mystery box stories - the reveal of what caused the big monsters to destroy New York and take over the world is a bit of a letdown. After Cloverfield more or less resurrected the Giant Destructive Monster with a clever spin on the Found Footage genre, there was a feeling of wonder about these terrifying creatures. Where did they come from? Where they always here like Godzilla and just wake up? Or were they the first leg of an alien invasion force? Or were they the result of a science experiment gone wrong? 10 Cloverfield Lane smartly sidestepped these questions and focused on a tangent adventure set within the events of the first film. Paradox lives up to its name by trying to answer those questions and sadly the "science gone wrong" explanation doesn't make much sense. 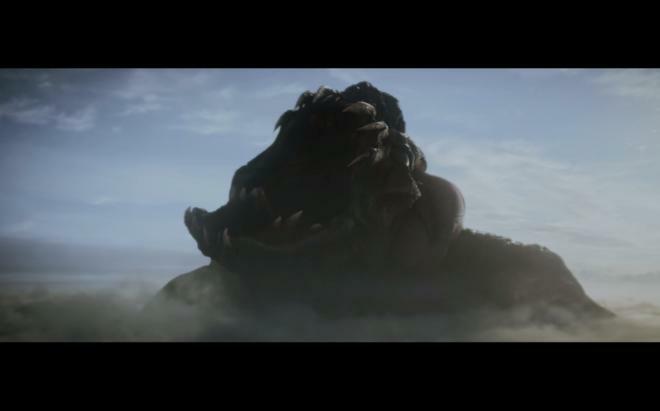 How does a dimensional hopping space station equal gigantic monsters smashing the world? Removed from the hype and the initial surge of disappointment, I did enjoy The Cloverfield Paradox a little better this second time around. Watching with the previous films, it's easier to see the linking tissue this film offers in the overall story. However, it's still a very flawed film stuffed with an excess of sci-fi hokum. With a fourth film rumored to be in development, my hope is that it is an original story idea and script actually designed for this universe rather than being one repurposed and shoe-horned into the franchise. Paramount Pictures unloads The Cloverfield Paradox onto Blu-ray after spending a year as a streaming-only title on Netflix in a single disc Blu-ray set. Pressed onto a Region A BD-50 disc, the disc is housed in a standard sturdy Blu-ray case with identical slipcover artwork - no digital copy was included. The disc loads to an animated main menu with traditional navigation options. When The Cloverfield Paradox hit Netflix it arrived in a bit of a confused state. While not being 4K UHD, it did offer up Dolby Vision that required a 4K Dolby Vision television set - in a sort of "have your cake and I guess you get to eat it too" scenario. Unfortunately for this 1080p 2.40:1 Blu-ray release we're not given the benefits of any HDR effects. Shot on 35mm and finished with a 4K Digital Intermediate, this 1080p presentation is good, detail clarity is solid, but colors, black levels, and contrast lack in comparison to the Dolby Vision HDR stream on Netflix. As I said details are strong allowing for small facial features, clothing details, and some of the film's production design work to shine with a nice even grain field to give the image a pleasing filmic presentation. Where I'm a bit "meh" about this release is that it simply doesn't enjoy the nuances that dynamic metadata controlled color and lighting have to offer a film. Speaking in a general sense, colors are fine with strong primaries and healthy flesh tones, but black levels get to be a bit murky in places and some whites suffer little muddy tones and just aren't as crisp. Some of the effects remain clunky and it's easy to spot when the cast is simply standing in front of a green screen. Overall this is a good presentation - but considering its source elements and previous presentations with HDR, I'm left underwhelmed. Where Paramount absolutely kills it with this release is the included Dolby Atmos audio mix! Finally, without the stupid tech and device constraints Netflix initially subjected users to -- at the time, Atmos was only available on Xbox and LG devices -- you can fully hear and appreciate what this film has to offer in the audio department. Brother, let me tell you, it's a gas! From the sounds of the space station to the terrors unleashed upon earth - and everything in between - this mix is wall to wall sound effects ranging from quiet and low creepy tones with plenty of LFE to sonic blasts of explosions, music, and screams of terror. That final tease at the very end before the credits roll is terrific. What I love about this particular Atmos track is that it isn't just loud. There is a lot of direction effects at work here keeping the front, sides, rears, and vertical channels constantly active without it becoming a loud mess of noise. There is subtlety and purpose to the sound effects and their placement. Even if characters are all in the same shot together, there is a feeling of spacing between them - especially if they're talking to one another along a corridor or in a big room - there's a nice subtle echoing effect that I was really tickled by. This was a HUGE auditory improvement over the lame 5.1 streaming mix I heard a year ago. Kudos to Paramount for not shortchanging the Blu-ray. Bonus features for The Cloverfield Paradox may not be groundbreaking or all that impressive but they're there just the same. Mostly just a collection of EPK talking head mumbo-jumbo, The cast overview is actually a pretty decent mini-feature. I'd have liked to see some sort of "roadmap" for the series to explain how they all connect, but what's here isn't half bad even if there isn't a lot to look at. 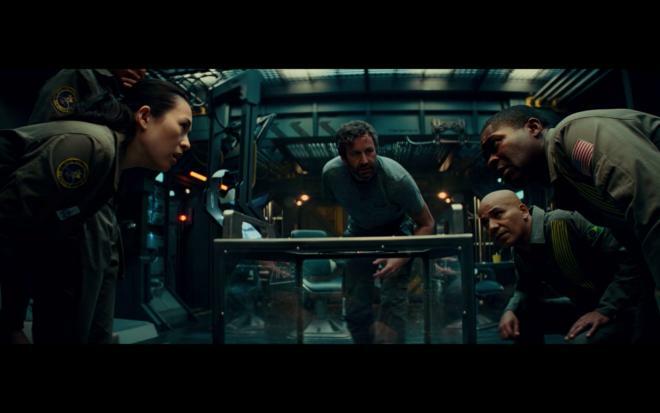 The Cloverfield Paradox is far from being the ideal third entry in the Cloverfield franchise, but even I will admit that the film has some pulpy sci-fi schlock working for it. I initially bashed it pretty good when it first dropped on Netflix, but a year later and after watching it in quick succession with the other films, it's a pulpy piece of sci-fi schlock that is at least entertaining - while not being completely satisfying. 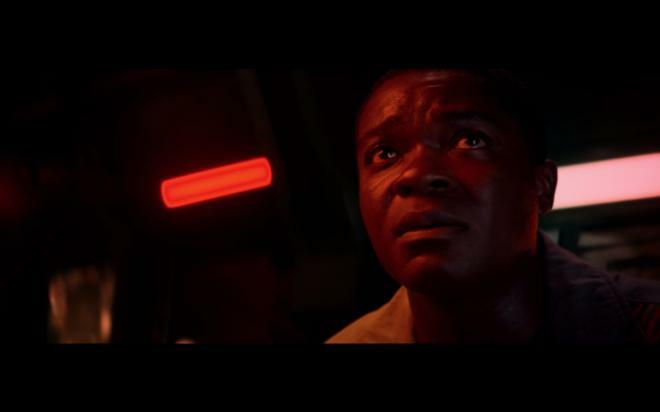 Paramount brings The Cloverfield Paradox to Blu-ray with a strong - but still not quite as impressive as the Dolby Vision Netflix stream - transfer. The biggest and best improvement is the Dolby Atmos audio mix as you're no longer restricted to streaming device compatibility to fully enjoy it. Bonus features aren't amazing, but they're somewhat informative. At the end of the day, if you liked the first two, Paradox completes the series on Blu-ray. Worth A Look.